Ligne Sittard nominated for the Golden Pyramid! 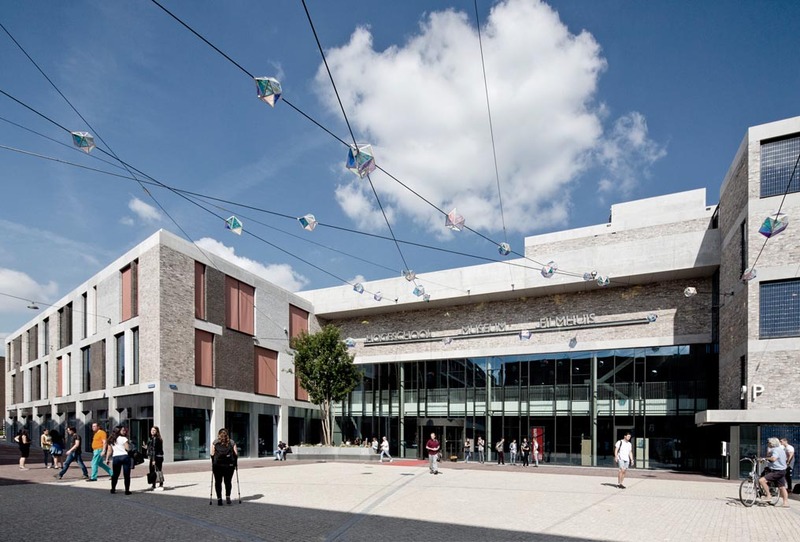 The municipality of Sittard-Geleen, Zuyd Hogeschool and Jongen Projectontwikkeling have ensured that the beautiful Ligne in Sittard could be realized. The inspirational commissioning of this collaboration has been nominated for the Golden Pyramid 2018! In a formerly neglected area just outside the historic city center, is now a multifunctional complex with, among other things, a college, a library, a cinema, houses and shops. Facilities such as the cinema and the library are shared by different users. Improvement of public space is part of the project. Ligne shows the value of integral commissioning with persistence. It is a rich project with an important role for the center of Sittard. Design: Jeanne Dekkers Architectuur, Rapp + Rapp, Jonathan Penne Architects, Lodewijk Baljon Landscape Architects, Coenen Sattele Architects, deMunnik-deJong-Steinhauser architects, Bureau de Munck, Trans Form Architects. Jeanne Dekkers Architectuur designed the northern block containing the school, museum, cinema and houses. Click on the link underneath to see the full project on our website. Are you interested? Reach out to us. Or stay up to date by signing up for our newsletter.